Despite the fact that I’ve spent almost nine years of my life as a full-time traveler, I’ve only experienced theft one time. To be honest with you, it was due to my own carelessness. In my experience, theft when you travel is rare, but it can happen. Find out what I did wrong and how to keep your belongings safe and secure with my tried and true tips on how to avoid theft while traveling! 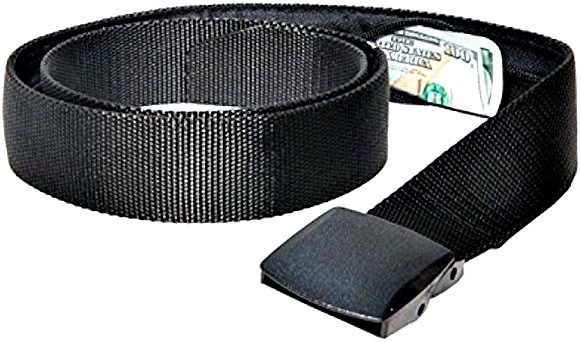 This is a belt similar to the one shown in the above image. When you’re visiting a major city, whether in South America or Europe or the United States, there’s always a risk you may be pickpocketed. I’ve been lucky because in almost nine years of full-time travel, I have only had something stolen once, and it was my fault because I left $500 in cash on the unlocked exterior pocket of my backpack. It happened at a hostel I was staying at and it was a actually fellow traveler, not a local, who stole the money. It was especially disappointing because it was the last week of my around-the-world trip and it was all the money I had left to my name at that point. However, I definitely learned a valuable lesson. Over the years, I’ve picked up a few tricks of the trade for avoiding theft. I highly recommend using luggage with a zipper that you can secure with a lock. After having money stolen that one time, I now only travel with a lockable backpack or suitcase. I remember staying at a hostel in Borneo, and when I returned to my room after a few hours of exploring I could tell by the look of my belongings that people had moved things around. I panicked because I had money, my passport, and electronics inside my backpack. Luckily, because it was locked, nothing was stolen. However, if my backpack had been top loading without a lockable zipper, I’m sure my stuff would have been stolen. Read my complete Osprey Ozone 46 review! 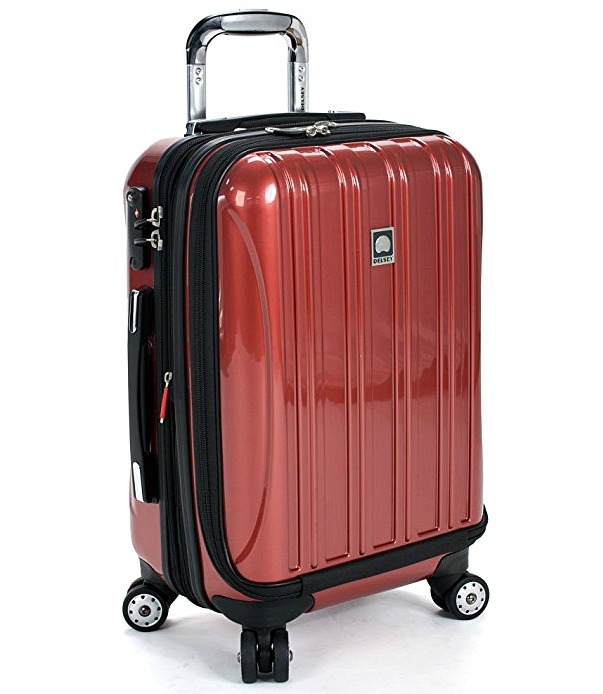 Aside from having a lockable suitcase or lockable backpack in your room, I keep my immediate money and valuables safe by keeping them on me. While I don’t recommend traveling with extremely valuable and irreplaceable items, if you do, keep it with you at all times, just to be safe. While it doesn’t happen often, even if you have a lock, someone could steal the whole bag. When carrying valuables on you, don’t toss them in your purse or in a pocket. I recommend using an anti-theft device. I’ve tried a lot over the years, and I’ve found two main anti-theft devices I like to use to protect my items. One of them is a money belt. Some people don’t like the feeling of a money belt because it presses on your stomach and it can create a strange looking pouch. Plus, if it’s hot and humid, the fabric of a money belt pressed against your skin can feel uncomfortable. If you don’t like the feeling or look of a money pouch, try a neck pouch instead. Along with a money belt, I like to use a bra stash to store credit cards and cash. However, I never keep my passport in this. You’ll find out why in tips 4 through 7! Watch my video on TPSY TV for a few of my most recommended anti-theft products. 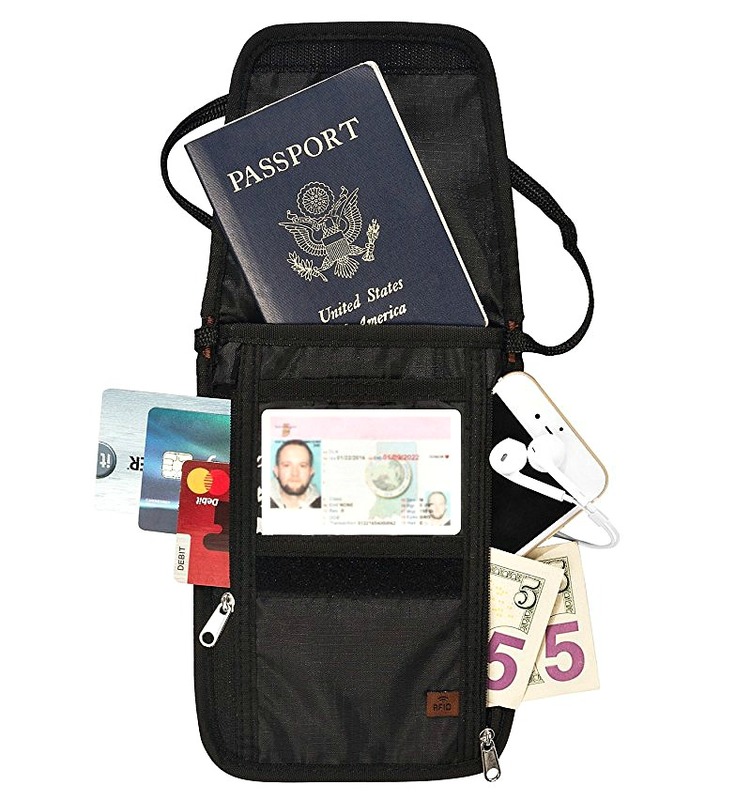 Here’s the best money belts and anti-theft accessories for travel! At the airport when I first arrive at my destination, I go straight to the ATM machine and pull money out. Even though the fees are usually a little more expensive, it’s so convenient to have cash on hand right when you arrive, especially if you plan to take public transportation to your hotel. Next, I go to the restroom and use a private stall to organize my personal belongings. I’ll put my passport in my money belt or whatever anti-theft accessory I’m using, as well as some of the money I pulled out at the ATM. I’ll put the rest of the money in my wallet or another anti-theft device. In my pocket or purse, I only keep a little big of cash – usually just enough to pay for a taxi or transportation to get to my accommodation. Find out the best place to exchange foreign currency! The absolute last thing you ever want to lose is your passport, so it’s important you keep it safe. Once I’m at my hotel room, I feel that the safest place to keep my passport is in my suitcase or in my backpack. Or, if the hotel has a safe, I’ll keep my passport and my laptop or whatever else I have inside the safe. But if the hotel or hostel does not doesn’t have a safe, I keep it in my locked bag. For the most part, this is a better alternative to carrying it around with you when you are sightseeing. Read our top tips for women staying in hostels! There will be times when you cannot help but have your passport on you. For example, maybe you just checked out of your hotel and are heading to the airport. During these instances, make sure that your passport is hidden underneath your clothing. For times when I have to take my passport with me, I like to keep it in my personal bag and hide it at the very bottom. 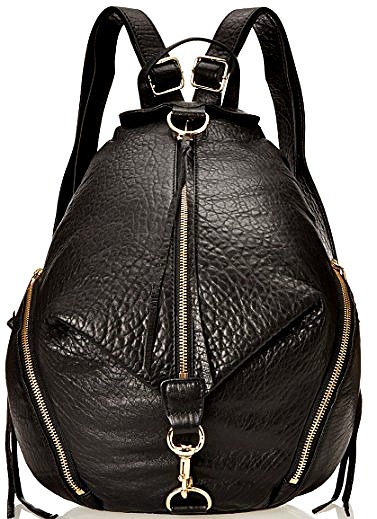 I usually take my Rebecca Minkoff Julian backpack, which has a little pocket on the backside of it where I store my passport. I love the pocket on this backpack because if someone were to open my bag, they wouldn’t necessarily know that there is a hidden back pocket where my passport is. Whichever bag you prefer, make sure to use one with a safe and secure pocket if you’re walking around and sightseeing with your passport. Earlier, I mentioned that I store some of my money in a money belt and the rest of it in a bra stash when I’m walking around sightseeing. For me, a bra stash is one of my all-time essentials, and it’s something I always travel with even if I don’t bring a money belt. One strategy I use when I go to the ATM is to pull money out and pretend to put it in my purse. This serves as a safety precaution because if someone was watching, they would think I was putting the cash into my purse when I’m not. Instead, I put it inside my jean pocket or pass it to my husband. Once we’re in a store, we’ll quickly distribute where the money is going to go. The bulk of the money I keep on hand goes in my bra stash, as it’s not bulky and it’s something I can travel with on me all the time as opposed to having a money belt on me. My credit card also goes in my bra stash. There are a couple of ways you can wear a bra stash. You can either put it in the middle of your bra or on the side, but I think it’s more comfortable to carry it on my side. Buy a bra stash here! As I shared earlier, I keep the bulk of my money in my bra stash. However, there’s one important detail to this: I keep what I need for the day in my pocket, purse, wallet, or wherever I’m going to store my money. This way, I don’t have to dig into my bra or money belt awkwardly or uncomfortably every single time I need to access money. 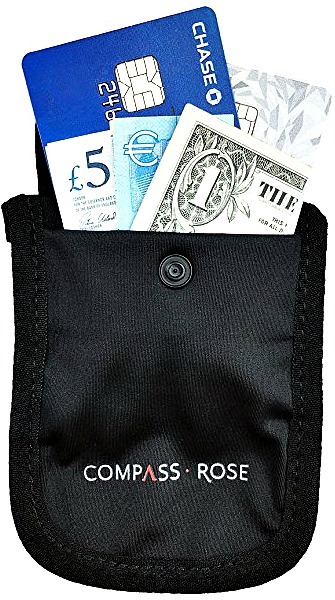 It’s important to be discreet, hide it, and then only keep just what you need on you for the day and have it easily accessible in your wallet. 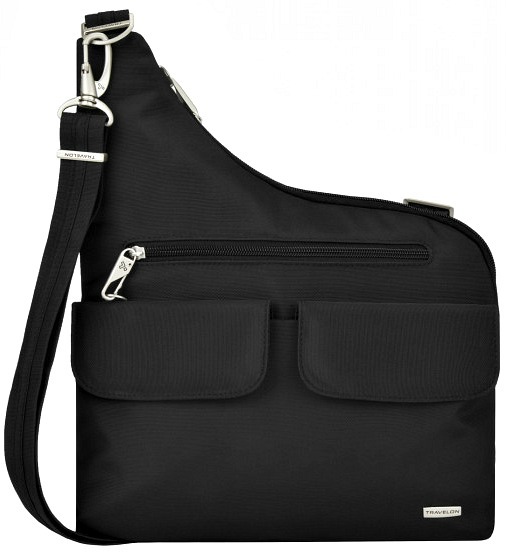 Find out why cross body purses are the best travel shoulder bags! I always recommend distributing your money in different bags and suitcases if you are traveling with someone else. 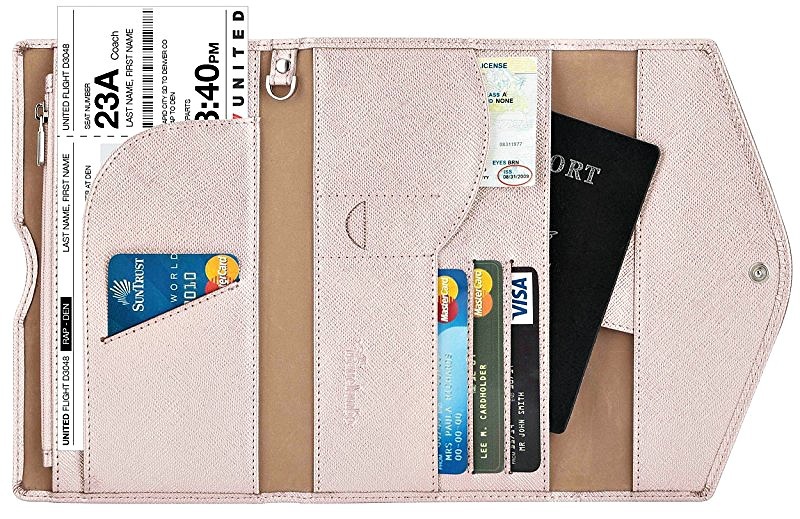 Split where you store your money, passports, and valuables. This can be in your bra stash, your wallet, a money belt, and your locked luggage back in your hotel room. In my experience, this is especially important when you are walking away from the ATM. A friend of mine was in Italy and when he went to the ATM, he took out over 300 Euros and put all of it in his wallet. Somebody must have been watching because not too long after, his wallet was stolen and he lost all of his cash. This is why I like to do my “fake wallet” move, where I pretend to put money in one place when I actually store it somewhere else. 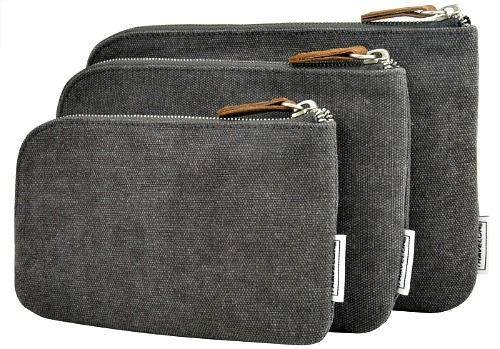 Along with a “fake wallet” move, I recommend traveling with two wallets. Put a few bills in one wallet and a larger amount of money in the other wallet. My husband and I did this in Central America. In case we were ever robbed, we could hand over the wallet with the least amount of money in it and keep the other wallet. Luckily, I’ve never actually been in that situation, but it’s a nice preventative measure. For example, during our Central America trip, we would leave what I call an “offering.” At a hostel, we’d leave one wallet with a $20 bill and a fake credit card underneath the pillow. In theory, most theft is opportunistic, so thieves grab and go. If someone were to come into our hostel room, they would find our “hidden stash” underneath the pillow, grab the wallet, and leave feeling satisfied that they had struck gold. They’d then be less likely to go through our suitcases and backpacks with our valuables. This actually worked during this trip! We did this in a hostel in Guatemala and Antigua. When we came back after a day of sightseeing, the wallet was gone but everything else was left in the room undisturbed. Thankfully, we only lost $20 and a fake credit card. I’m a big fan of anti-theft bags. These are different than a standard bag. 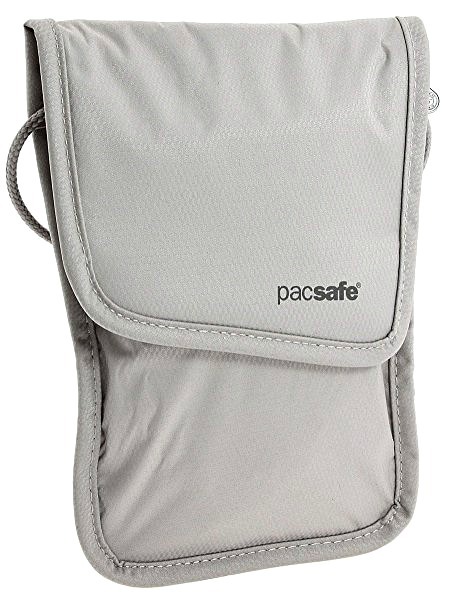 An anti-theft bag is a purse, backpack, or luggage with built-in safety features. It’s designed to help you avoid becoming a victim of theft at home or abroad. Since pickpockets tend to target busy tourist areas in large cities all over the world, some female travelers feel safer with an anti-theft purse instead of a regular purse. Choose a crossbody purse and always wear the strap across your body. Don’t wear the strap hung over one shoulder. Hold your purse close to you when in crowded areas or on public transportation. 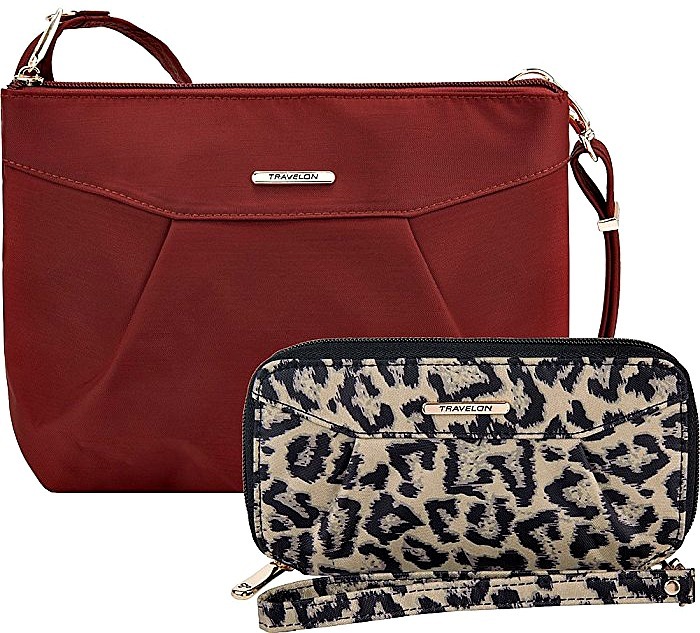 Found out the top five anti-theft purses here! While it’s important to take anti-theft precautions, don’t feel paranoid when traveling. The world isn’t as scary of a place as it may seem sometimes. Have a good time and maintain awareness of your surroundings! What are your tips on how to avoid theft while traveling? Share in the comments below! I hope you enjoyed these tips on how to avoid theft while traveling. Please share it with your friends on Facebook, Twitter, and Pinterest. Thanks for reading! I store things inside the slits in sports bras that are for removable pads! I love this post. I do the same on my trips. 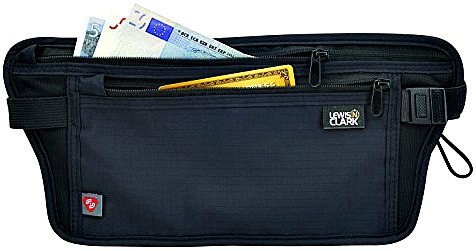 I take a soft money belt with me which I keep my credit cards and cash in, plus have my day cash in a separate purse, I don’t go site–seeing with my passport, I take my drivers licence as a backup ID. I also have copies of all my important documents, including scanned copies of my passport and credit cards stored in dropbox (like cloud) as well as stored on my phone so that I don’t need wifi or data to access them. I’m a bit fanatic about making sure I have copies. I like your suggestion on once getting your money out of the ATM doing the sneaky distribution, and the toilet run! I enjoy reading all your posts and I get a lot of good ideas. (used the packing cubes for the first time on my last trip. so much easier!!) Keep up the good work! I have a package bra stash where the clasp to attach it is separate from the clasp closure. I attached it to the shoulder strap and tucked it into the bra cup. It was easy to remove without being too awkward and it would be pretty obvious if someone tried to pick pocket it. I used it as my primary wallet with cash, credit card, and ID for our 2 weeks in Europe. These are the very essential tips that every girl wants to know. I lost many things during the journey. After reading this article I could realize my mistakes. Thank you so much for the eye opening article Alex! I recommend you obtain a card with Charles Schwab. I get my money from ATM’s at the airport also however I do not get charged ATM fees! I love this card for travel. I can transfer from. I bank account directly into this account and I can get money anywhere with no ATM fees. Saves quite a bit of money! !